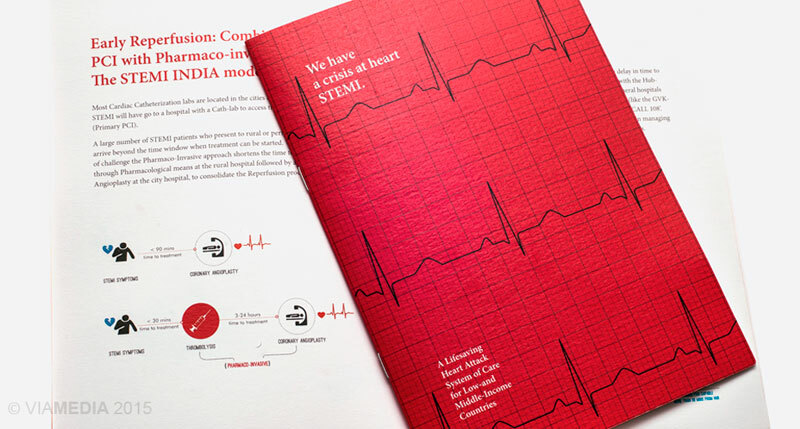 STEMI INDIA has developed an innovative emergency system of care to manage heart attacks in the low-and middle-income setting; a system of care that will shorten delay time from diagnosis to treatment and turn around this killer disease. STEMI is the commonest type of heart attack, with an average of 4 people dying every minute in India. With the support of the Indian Council of Medical Research, STEMI INDIA has developed and prototyped a system of care that strategically aligns clinical innovation , technology, infrastructure, social insurance, emergency medical services, etc., to deliver accessible, affordable and quality care. 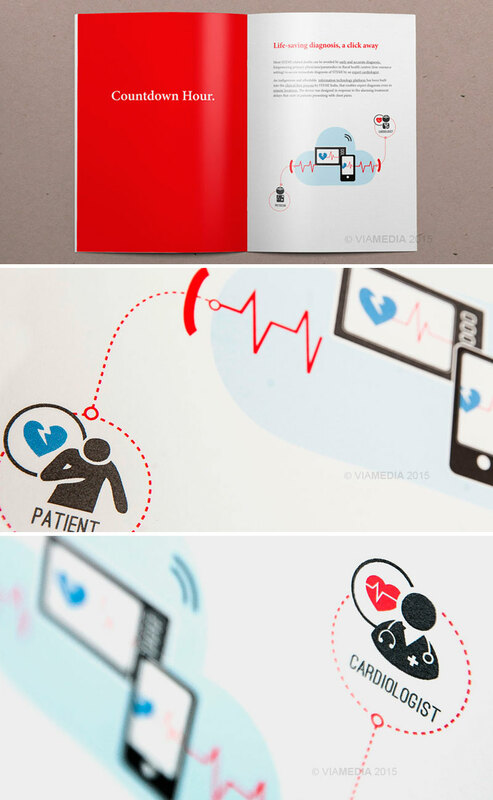 The STEMI INDIA system of care has been successfully prototyped with the Govt of Tamil Nadu. Information is power when there is clarity and insight. A communication strategy was required to present this complex system with clarity across partners from diverse background, and also to demonstrate how various components seamlessly link with the other and optimize the system. A universal narrative along with infographics were used to articulate the purpose and working of the system, effortlessly. 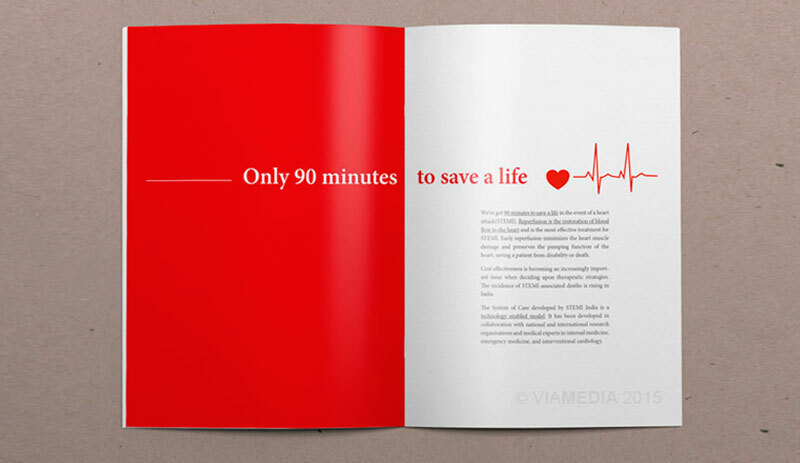 A design thinking approach was used to ‘design the STEMI INDIA message’. Creative insight-driven messages were designed to influence decision-making by reaching out across stakeholders' aspiration points, and to move the system forward. A tool to open doors to dialogue and collaboration in healthcare delivery not just in India but in other low-and middle-income too. Here design had to satisfy not only aesthetic but prompt decision makers to action, by offering a unique and well-rounded understanding of opportunities and challenges. This began with a good understanding of needs and priorities of Government, Hospitals and Corporates ,and partners involved with the cause, using a design thinking approach. 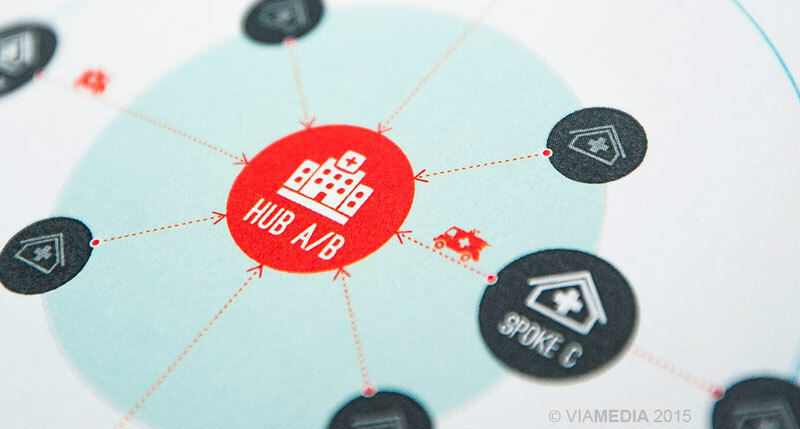 Information was integrated as a whole. 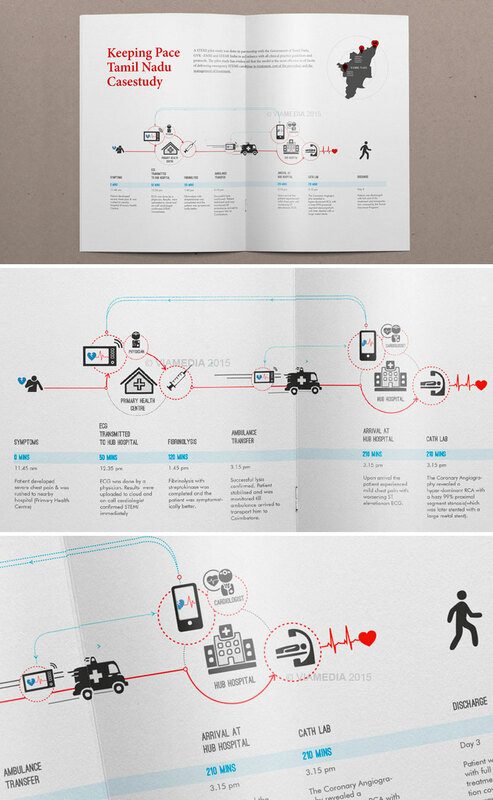 Design narratives made information interesting, replacing the linear arrangement of facts. 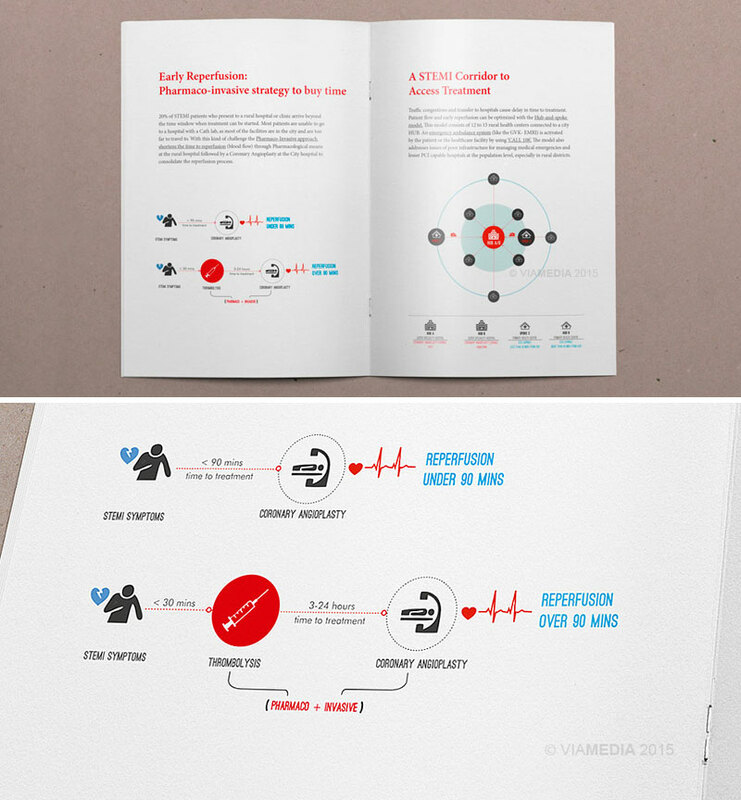 Infographics were used to simplify medical information and processes, to be able to present ideas clearly. As Don Bulmer puts it, it is key when designing marketing and communication in the world of social business to make it experiential. In the end the goal is to motivate people to action based on value. The STEMI INDIA system of care addresses issues of poor expertise and infrastructure in managing medical emergencies at the population level, especially in rural districts. 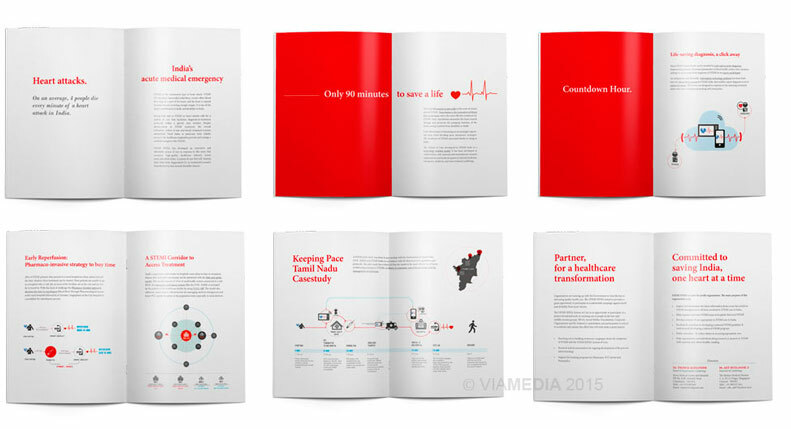 STEMI INDIA to guide the delivery of the STEMI system of care from patient entry to discharge. The STEMI INDIA technology-enabled model has now made life-saving diagnosis a click away. An indigenious and affordable information technology platform built into the clinical flow process, that enables expert diagnosis even in remote locations. Early and accurate diagnosis is key in reducing the number of STEMI related deaths. STEMI INDIA has introduced game-changing clinical innovation that combines the Primary PCI with Pharmaco-invasive strategy, shortening the time to reperfusion. STEMI INDIA has also developed intensive STEMI training programs for doctors, nurses and paramedics to deliver this STEMI system of care. The STEMI Corridor consists of 12 to 15 rural and peripheral hospitals connected to a city hub hospital. Accreditations of STEMI hospitals – hubs and spokes with focus on Govt hospitals. d. The STEMI India pilot study funded by the Indian Council of Medical Research was measurable proof done in partnership with the Government of Tamil Nadu and GVK EMRI. The study confirmed feasibility and efficiency of the model in delivering state-of-the-art and affordable care in the Indian setting. The service was piloted successfully in Tamil Nadu and now required various stakeholders from Govt, private hospitals, corporates and private partners in the delivery the system at a national level. The STEMI INDIA model is a system that inspires new futures with governments, organizations, banks, investors, collaborators, etc. The design of the message becomes crucial as effective communication helps businesses grow, creating relationships, strengthens effectiveness of the organization and allows people to learn about each others roles. In this way communication becomes a mainstream management activity in bringing various stakeholders together, making the 'STEMI India message' was an important tool for leadership in delivering collaboration and innovation in healthcare delivery for the low-and middle-income setting.